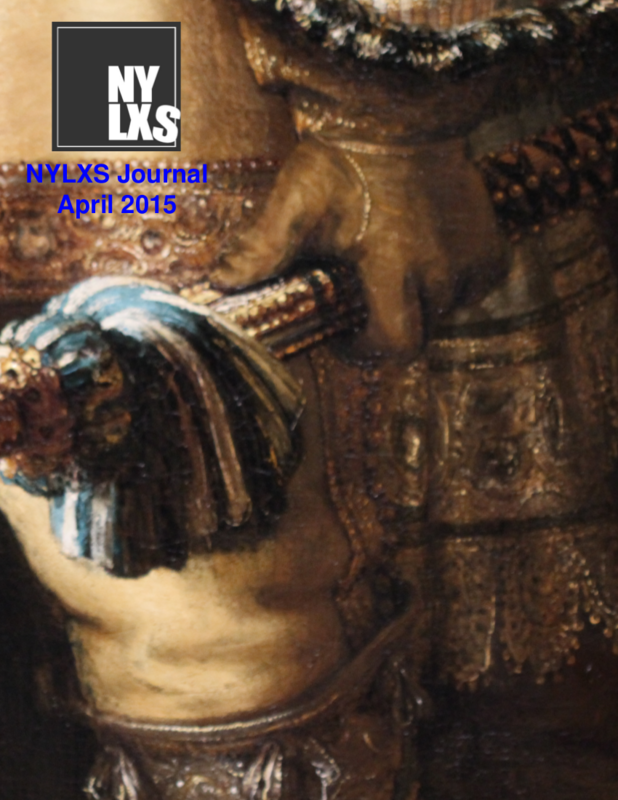 The NYLXS Quarterly Journal committee will be meeting on Tuesday, March 10th at 7PM at the Brooklyn Marriot 333 Adams Street. I'm announcing the new Perl I class for June. The class will be 6 weeks and we need to get 5 people to sign up for the program which will be taught in Brooklyn unless a better venue makes itself available. Limited to 20. Our Introduction to Programming with Perl class is designed to teach proper, real-world programming techniques using Perl. Introducing the core concepts of the language, this class will take you through Perl's underlying structure, and help you see the internal logic of the language. You will learn to write your own programs, and be exposed to working with real programming situations in collaborative environments. 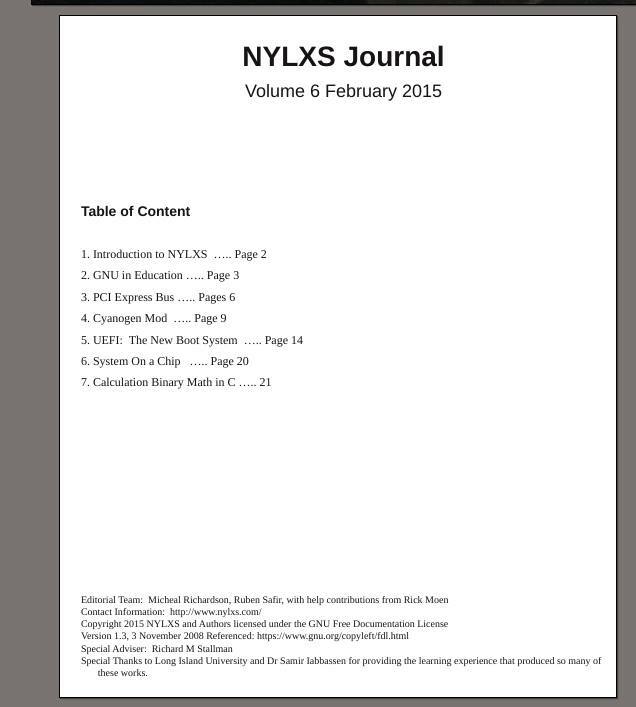 Every Month NYLXS will make a video journal interviewing and showing successful Free Software projects, with concentrations in commercial applications, educational programs, political events surrounding Free Software and the Arts, within the New York Metropolitan area, and to air the 1 hour video on the NYLXS wesite. Like all NYLXS events, this will be a non-profit enterprise run by NYLXS volunteers. Executive Producer: Find interesting Free Software projects and arrange for interviews, assigning team membership to assignments according to schedule. Producer: Assists Executive Producer in show discovery and help omnibus problem to assure regular schedule productions. Director: Overviews interviews, and realtime production recording. Work with editors to create a finished video product. Editor: Edits the finished video, using free software tools, to create the finished video under the direction of the director. Google, Banks, About.com, small enterprises (free PR), Steiner Movie Studio's in Downtown Brooklyn. Volunteers are needed to fill out all of these slots and to join the team. I took C++ at NYU but frankly have not nearly enough background, so I'll be making notes and learning along with everyone else. 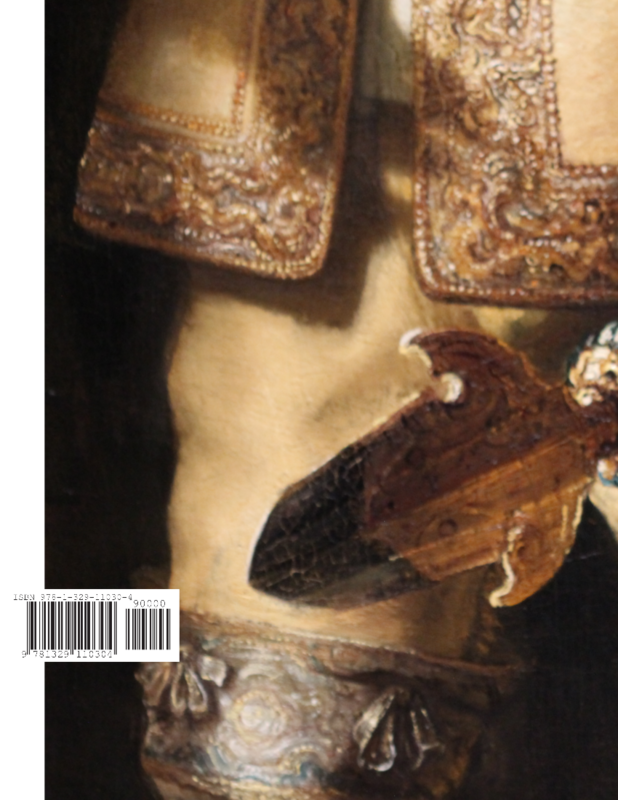 The mailing list itself is published on the NYLXS site. Hope you join us! This month NYLXS is going to implement several programs and workshops which will be hopefully of interest and use to membership and the general gnu/Linux public. After the last meeting March 4th, 2008 it was determined the following programs are to be put in place. This email is a general notification to the public and a call for participation. Programs are developed with NYLXS funding and due. Practice Networking Workshop and LDAP Services: Evening Weekly: Lead by our resident expert, Robert Marino, LDAP, and SASL will be explained and configured in this workshop. ASUS EEE PC Workshop and Users Group: Catch the latest wave which is sweeping the computing world and putting GNU in the hands of everyday users. Project Leaders are being solicited and are welcome. Although we have leadership in place for these workshops, the burden of the NYLXS board and leadership is considerable and has put a joyful strain on resources. Anyone interested in helping to lead any of these events are welcome. GNU/Business: Help learn to create the business proposals and marketing techniques to put you and your business on the map. This is just the Demo an installfest will be held later. What: February 2008 serious Free Software Experts will converge on Lake Placid New York for the 3rd Annual Lake Placid Freedom-IT North American Free Software Conference. This Years topic is Free Software Multimedia - the Rebel Alliance Strikes Back! local Phone System and how the infrastructure works. Need to generate more sales contacts or to find a 9-5 for your Free Software business and skills? Join the Free Software Chamber of Commerce. Email ruben@nylxs.com and find save a seat at the next meeting. Volunteer for the Ubucon Installfest on Friday Febuary 16th at Google. Registration is needed. Slackware and opensuse CD iso's are on line. Local Network Available and lots of help. We have a commitmment of 7 helpers so far. NYLXS installfests tend to be great fun with friends, food and Free Software! 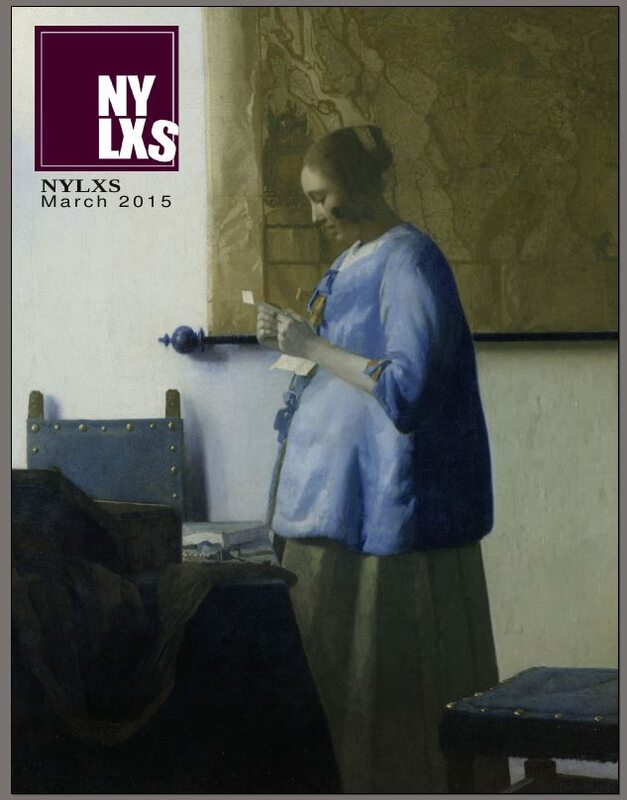 NYLXS is taking its yearly confernce and vacation break this month. If interested in hooking up email us at ruben@nylxs.com. Free Software and Skiing in the most beautiful of +places on earth a few hours from the City! The Free Software Chamber of Commerce - New Yorks first Free Software Business Network, opens for Business! Corperate Support of the Free Software Linux Based and BSD Based GNU Desktops Is beginning right here RIGHT NOW. See our New Open Office Class Schedule for this Month! New York GNU Linux Scene is an organization dedicated to providing resources to the New York Linux Community. It's about developing open source leadership. Bound to no specific local NYC or NY Metro Area organization, it's members support the NY Linux and Free Software Scene with manpower, technology, money and time. It's goal is to enable NYC Area Linux users, Free Software users, and the NY population in general through their lugs, schools, businesses, and government agencies. NYLXS helps with installfeasts, lectures, tutorials, mailing lists, scheduling of events, political lobbying, educational support to public schools and libraries, training, publicity, and more. Our membership is doers, not watchers. If you are a doer, then join us, and make a difference for the future. Our New Rapid Demonstration Project is underway to help local businesses and consultants show off the power of GNU/Linux quickly and effectively. Join us on this today! NYLXS will have its general membership meeting on Wednesday: June 7th, 2006 Time 6:30PM Sutton Inn 1015 2nd Ave, New York, NY 10022 · 212-207-3777 in Manhattan Assembly Language Workshop FSI Classes Elections Server Move (Ruben is moving) Freedom-IT - Yes it can and will happen - Free Software Exposition on both East and West Coasts The GNU Traveling Circus - 2 weeks - 5 boroughs - lots of fun NYLXS Journal Publication of GNU/Linux 1 - High School Text Book NYC Live on Saturday Night - GNU/Linux, Music and Live Bands K-12 Education with Free Software GNU and Children New Web Site Design for NYLXS Membership Drives Membership Dues Jobs Jobs Jobs!! !